I’ll be honest: I picked this book because it was historical fiction! I just can’t help myself. I am familiar with this author’s other works and I knew it would be quality. Elijah is accused of being “fra-gile” by his friends and family. Growing up Buxton’s first freeborn child, he was allowed the luxury of a childhood. Unlike the adults in the settlement, most of the kids had never been a slave. Elijah spends his days attending school, playing with his best friend Cooter, helping out at the stables and helping Mr. Leroy. When he isn’t working or attending school, Elijah enjoys fishing with only Old Flapjack the mule for a companion. The goal of the settlement is “One helping one to uplift all.” They do just that. The characters are so sweet and encouraging to one another. The only odd character of the group is the preacher. He is not the actual preacher of the settlement but he calls himself a preacher. He carries around a fancy pistol and a lot of odd stories. About three-fourths of this book is back story and chronicles the daily adventures of Elijah. The real action starts when Elijah finds himself on the back of a horse headed for America. Elijah’s dear friend, Mr. Leroy spends everyday working to save enough money to buy his family out of slavery. Finally, he manages to save enough. He is planning on how to buy his family with Elijah’s father when the preacher appears and offers to take the money for Leroy to a little logging village an hour out of Detroit. Leroy is so excited about his family that he doesn’t heed Elijah’s father’s warning. The days that follow send Elijah on the grandest adventure of his life. He is forced to accompany Mr. Leroy to the small town outside Detroit to try and find out where the preacher is and what happened to his money. 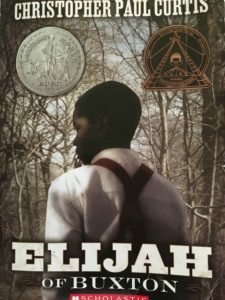 There, Elijah is confronted by the truths of slavery and goes from a “fra-gile” boy to a courageous young man. Elijah nearly uses the N word, but catches himself. He receives QUITE the lesson from Mr. Leroy on pages 96-99. On the way to the lake, Elijah’s Ma and Mrs. Holton start discussing their lives as slaves. Ma quotes her mistress and uses the word “pickaninnies” (208). The dialogue is also a little challenging but could make for a great read aloud. This book is well researched and Christopher Paul Curtis does not sugar coat the evils of slavery. I think this book would be a great introduction to the topic of slavery and the underground railroad. *There are several ideas/topics you could journal about. -The Buxton creed is “One helping one to uplift all”. Write a journal entry explaining what that means and why a settlement of former slaves might make that their creed. -Was it ok for the preacher to take a “tithe” from Elijah? What does that tell you about this character? -Write a response to Mr. Leroy’s lesson on page 99: “‘You thinks just ‘cause that word come out from twixt your black lips it mean anything different? You think it ain’t choke up with the same kind of hate and disrespect it has when they say it? You caint see it be even worst when you call it out?’” Why do you think this word upset Mr. Leroy so? Use text evidence. -Write a journal entry as Elijah and talk about your experiences in America. How did you feel when you met Chloe? Why did you go back to the stable? What do you think will happen now that you have Hope? 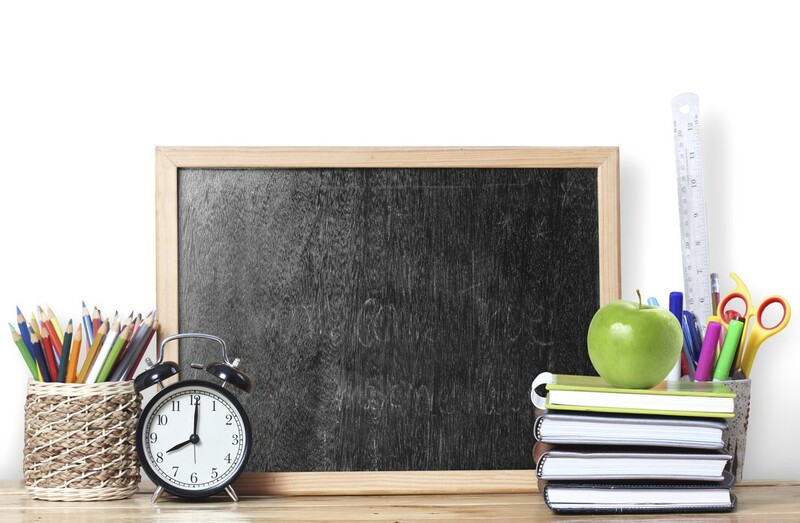 *There are several vocabulary words you could have your child look up, define, and draw a picture for each. *Take a paragraph and correct the grammar. *The author himself has a list of activities in the back of the book you could look into as well.